*Weekly classes run August – May. In June / July we offer many summer camps. *Registration Fee: $30 per year ($24 additional student same family) This annual fee is paid when you register for classes. You are not charged the registration fee for camps or special workshops. *Tuition is the same whether there are 3, 4, or 5 weeks in a month. The longer months make up for the shorter months. We are closed Memorial Day, Labor Day, Halloween, Wed/Thurs for Thanksgiving, 2 weeks for Holiday Break in Dec and 1 week for Spring Break. *Credit is not given for missed classes. Students can arrange a make-up class within 1 month of missed class with the front desk. Students must be enrolled in class to take a make up class. *Add/Drop Forms: To add or drop classes please notify the front desk and fill out an add/drop form. *Dancers must be picked up at the time their class is finished. Students must wait inside the building to be picked up. *Accounts must be current with no outstanding balance for tuition, costumes, or other fees to participate in recital. Recital is held the end of May/beginning of June each year. *You are financially responsible for tuition until Starstruck is notified in writing that the dancer is dropping class(es). We do not prorate tuition; the only exception is if you start in the middle of the month. *For a snow closure we follow Cherry Creek & Douglas County school districts. Snow Closures will be posted on the front page of the website and emailed out by 2 pm. 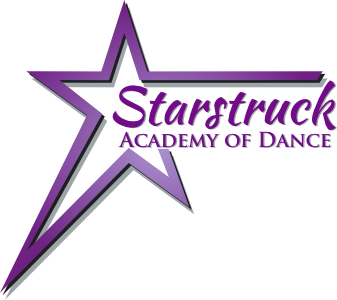 If Cherry Creek or Douglas County schools are closed Starstruck will also close for that evening. If after school activities are canceled we may also close, please check the website before driving in.